Since the 1970s, Realtor® Terry L. Ray, Founder of The Ray Group and Custom Builder Source has earned his reputation as one of the leading producers in North Scottsdale. Throughout this affluent community, Terry and his team have upheld “platinum standards” of performance and service. As the #1 Agent for Berkshire Hathaway Arizona Properties, the largest Berkshire Hathaway Real Estate Affiliate in Arizona, Terry Ray has assembled partners with specialized skills and experience in an effort to anticipate changes in the market. 2001 -2012 The Ray Group has been named the #1 Ranked Real Estate Team for Berkshire Hathaway Arizona & Affiliates, and have been included in the top 100 teams/agents ranking for all of Berkshire Hathaway North America since 08. Over the past 25+ years no other team has closed more real estate transactions in Scottsdale than The Ray Group. Our team offers service for all of your real estate needs Buying, Selling, Renting, and Investing. Wrote and implemented a new sales and marketing plan that was appropriate for current market conditions. 2007-2010: In October of 2007, amidst the collapse of the global financial markets, The Ray Group entered into a joint partnership with the developer of Whisper Rock Estates (Grayhawk Development). The Ray Group created an onsite sales team solely responsible for the marketing of the developer product inventory, custom homes, spec homes, semi-custom homes and custom home sites, as well as created the resale division for the community. The Ray Group’s onsite team evolved into a full resale organization, offering custom builder services for the remaining vacant home sites and coordinating with the Residential Services Director, the social events calendar/atmosphere for the neighborhood residents and golf club members. 1992-2005: Terry Ray was the Broker for Jerry Nelson, the Developer of Troon, Troon North, Pinnacle Peak Country Club and a majority of the subdivisions in the Pinnacle Peak area. Owner/Broker for Troon North Properties and sold the real estate company to Berkshire Hathaway Arizona Properties in 2001 and founded The Ray Group under the Berkshire Hathaway brand. Exclusive Club Member Access to Whisper Rock, Estancia, Mirabel, Desert Mountain, and Pine Canyon. As a leading sales producer in these key luxury markets, we have long-standing relationships with developers and builders; to get the maximum value for homes and home sites. 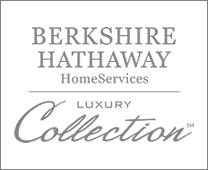 Berkshire Hathaway Arizona Properties is a member of the Berkshire Hathaway Real Estate Network of 60,000 sales executives and 1700 offices throughout North America and abroad; serving over 5,000 markets. “The Rock,” the international symbol of strength, stability, integrity and trust for over 130 years. 2011 April – Joined Berkshire Hathaway Americana Group Realtors in Las Vegas with 1,000 sales executives. Berkshire Hathaway Americana Group, REALTORS ® and Berkshire Hathaway Arizona Properties are independently owned and operated members of Berkshire Hathaway Real Estate Affiliates. The collective franchise is owned by Mark Stark, CEO. Largest and most productive Berkshire Hathaway Affiliates in Arizona and Nevada. Nearly 1,600 sales executives (600 in Arizona and 1,000 in Nevada). Our holistic approach to marketing which includes partnerships with the Four Seasons, our relationships with community developers, local custom builders, multiple golf club memberships, and with our long term Realtor networking relationships has a proven track record. With our recent advances in our social media capabilities complementing our time-tested marketing plan, we are proud to say that what we can offer to clients is incomparable within our industry. We are well positioned to serve our clients for all their real estate needs with our network of agents locally and agents located in other vacation/resort/second home destinations internationally. Please review the enclosed “The Ray Group Marketing Summary” the “Berkshire Hathaway 21 Step Marketing” and the “Fine Homes Marketing Summary” which details The Ray Group’s Marketing Resources including Professional Photography, Worldwide Internet presence, Berkshire Hathaway’s Exclusive relationship with Yahoo!, our Print & Digital Marketing Initiatives, and Scheduled Realtor Network Marketing. 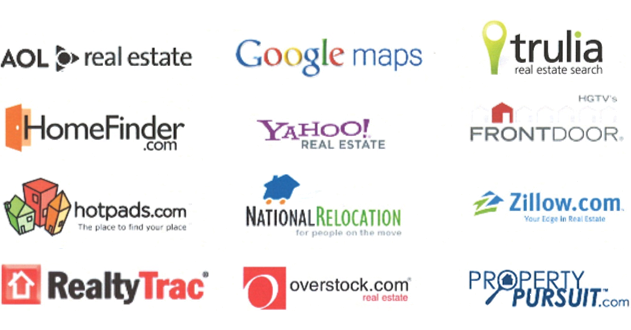 Within 72 hours of listing your porperty with a sales professional at Berkshire Hathaway Arizona Properties, your home will be available for viewing on literally hundreds of Web sites including those listed below which represent the leading real estate sites in the nation and attract the most buyers.